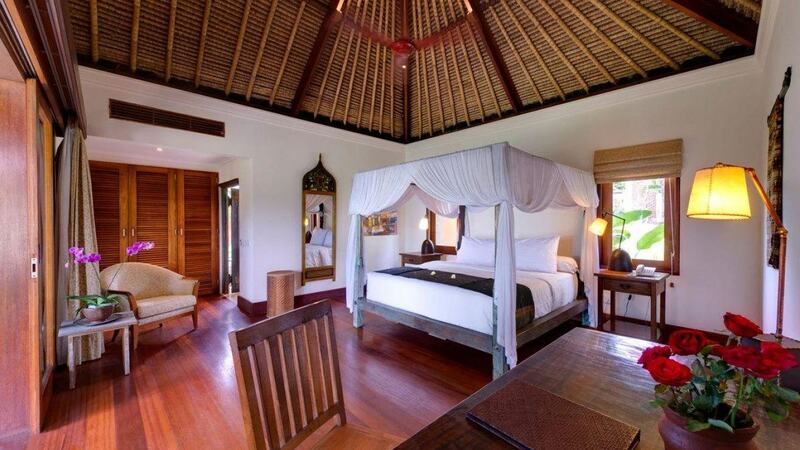 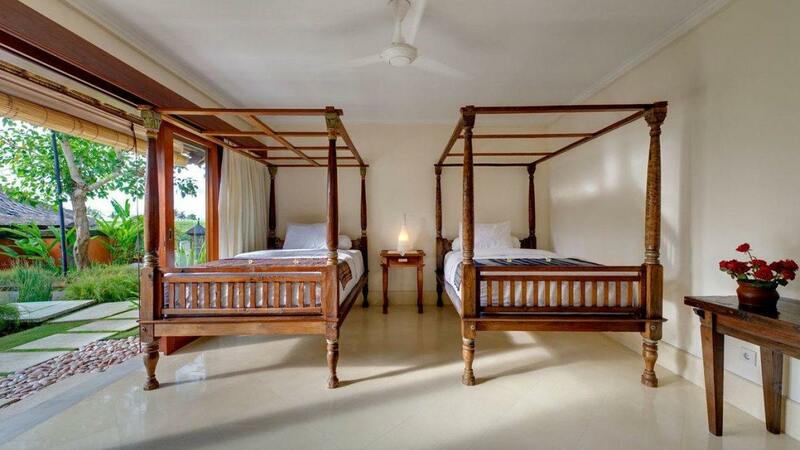 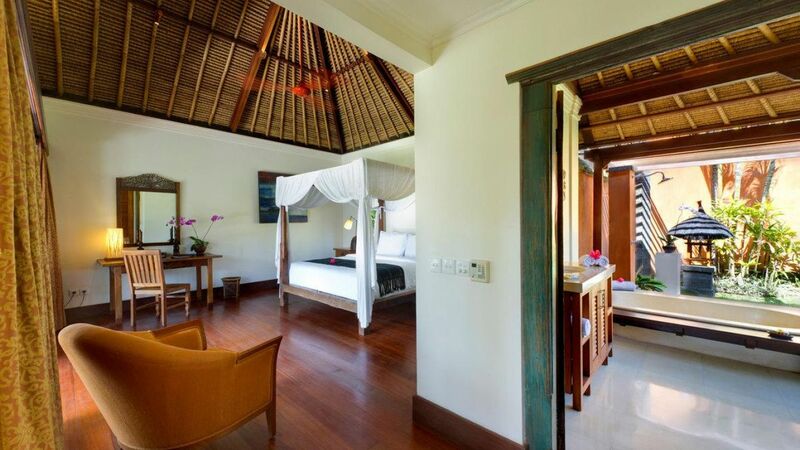 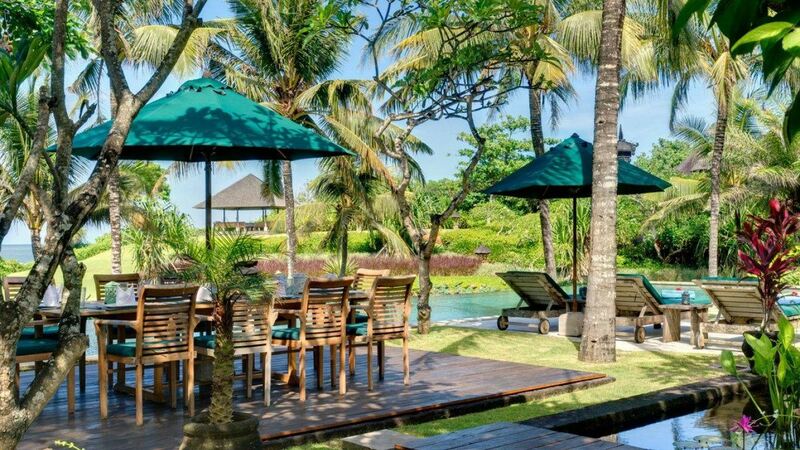 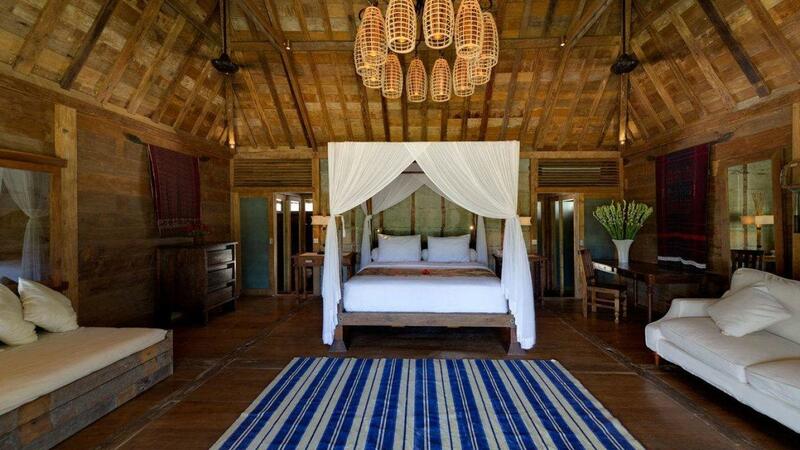 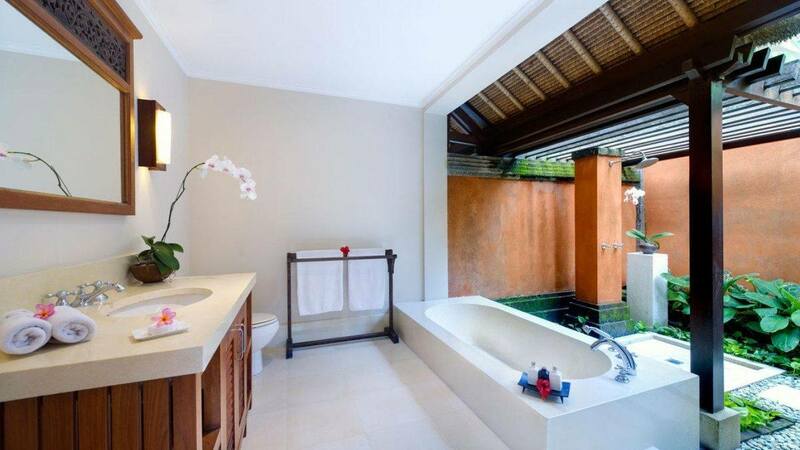 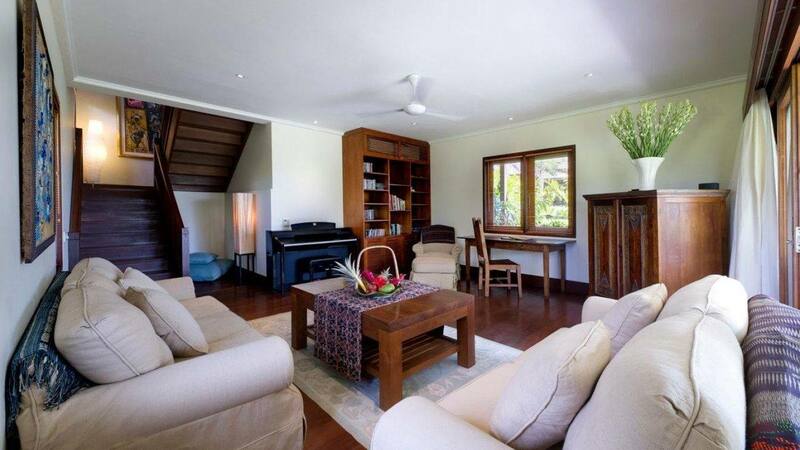 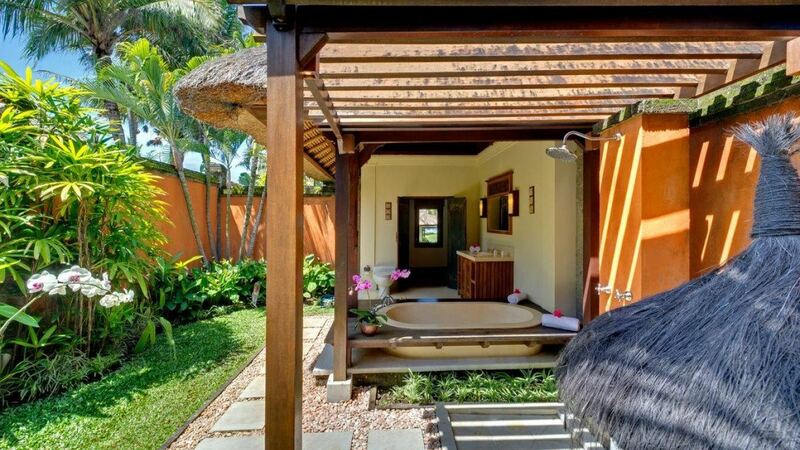 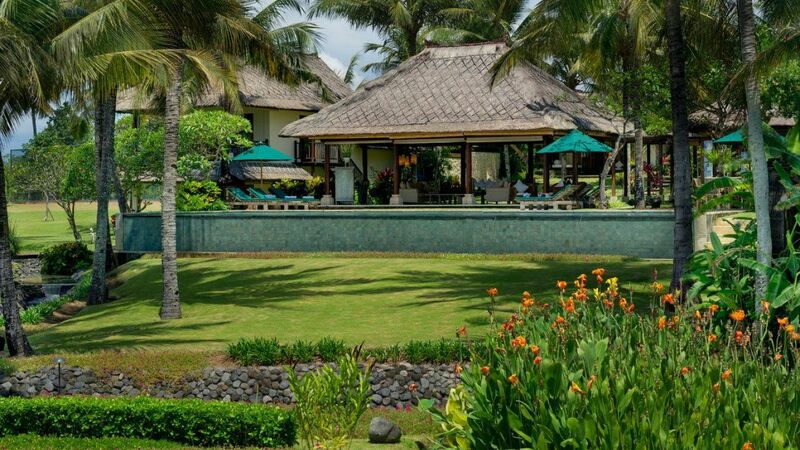 Villa Jasmine is styled on the traditional Balinese compound, with peaceful and private sleeping and living pavilions resting amongst luscious tropical gardens. 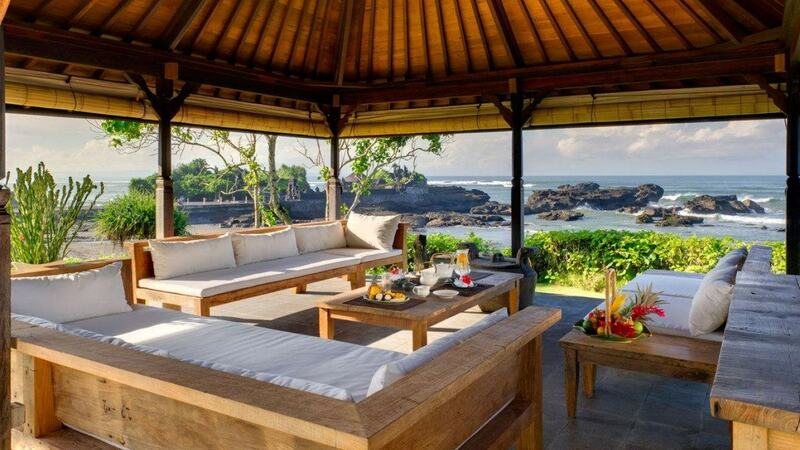 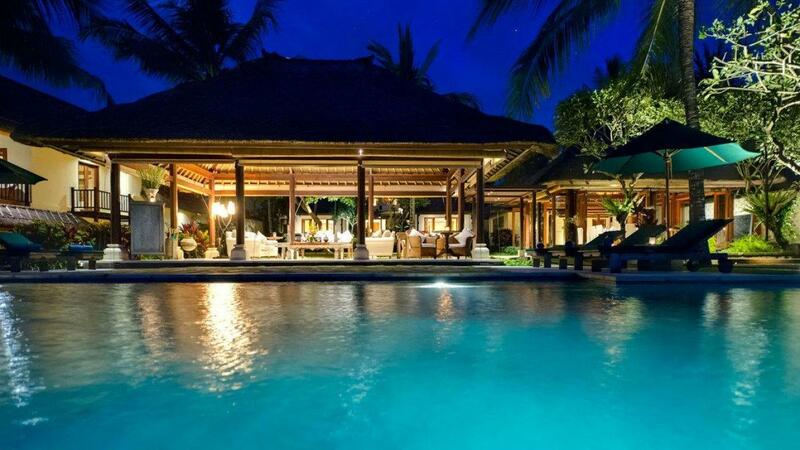 The villa boasts 100 meters of absolute beach frontage on Bali’s rugged south-west coast, and the roar of the ocean can be heard throughout the villa as waves crash against the black volcanic rocks and the spectacular sea temple that rises above them. 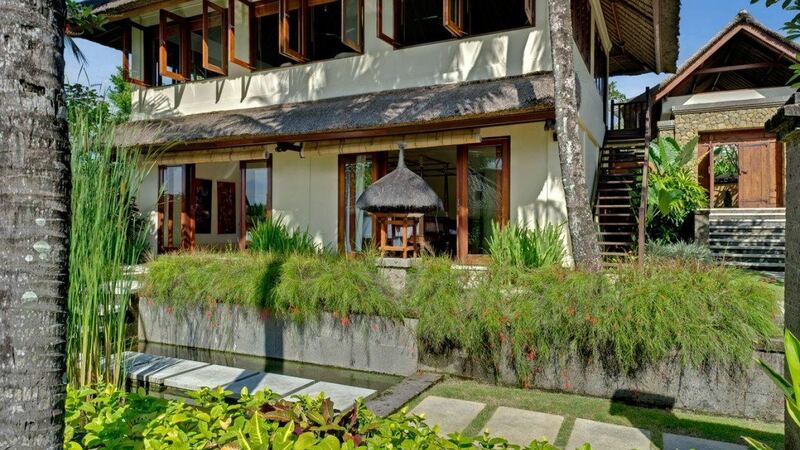 Guests enter the villa via wooden Balinese doors and a Palimanan stone staircase that leads to a trickling fish pond adorned with water lilies. 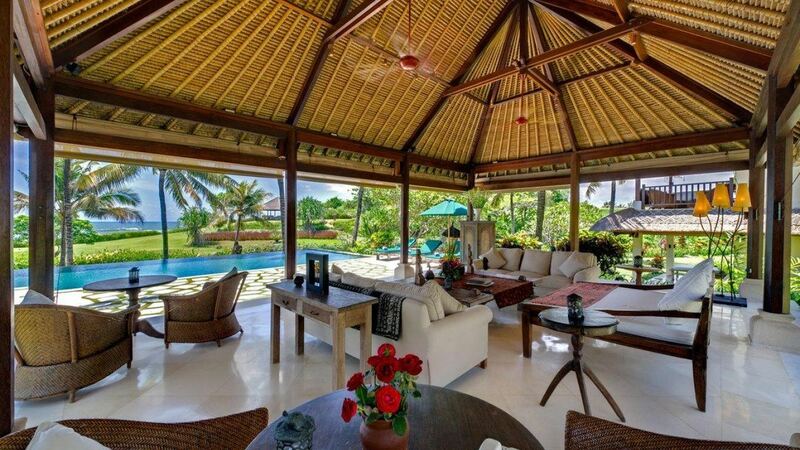 From here the villa and its grounds are revealed, and the views go all the way to the ocean. 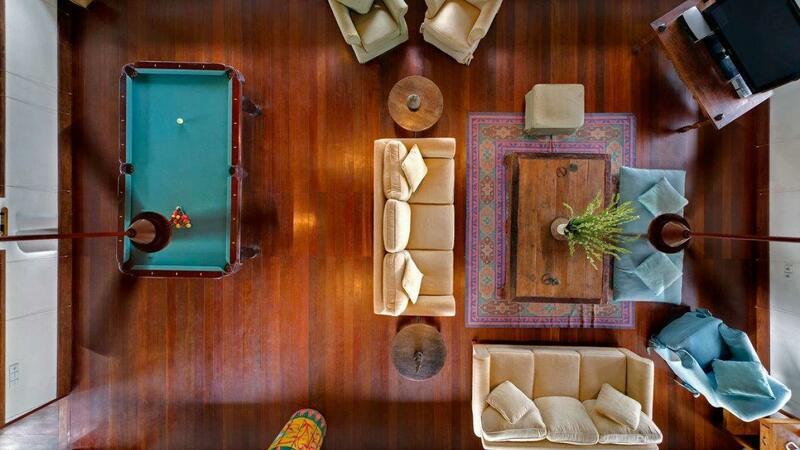 To the rear of the property, two guest bedrooms are housed below a large, bright, second-floor games room. 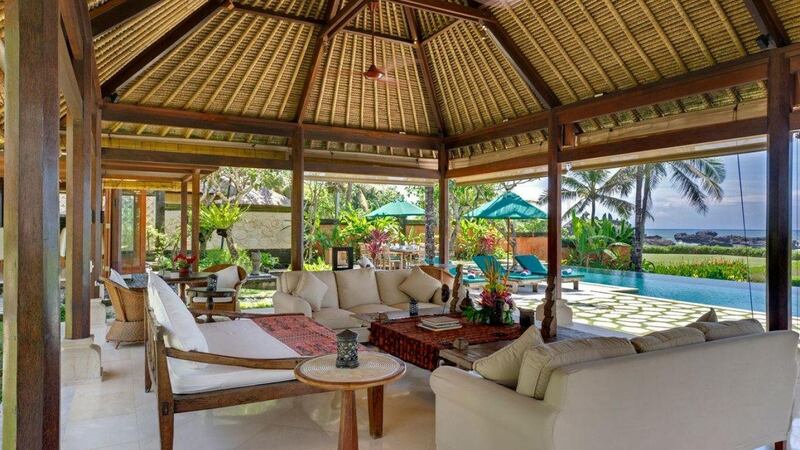 Two more bedroom pavilions lie on either side of a stepping-stone pathway that leads to the living pavilion which overlooks the 18-meter infinity pool, the garden, the beach and the ocean beyond. 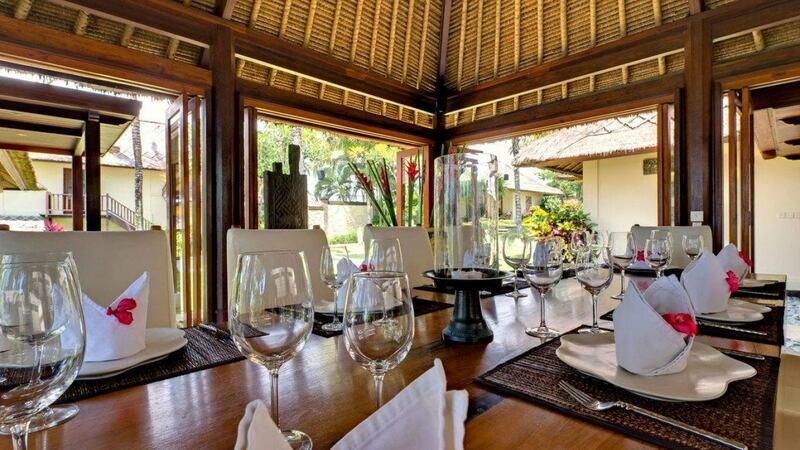 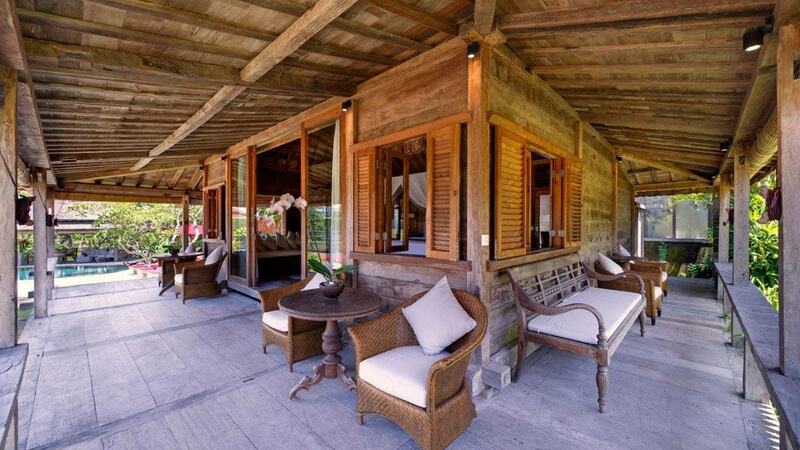 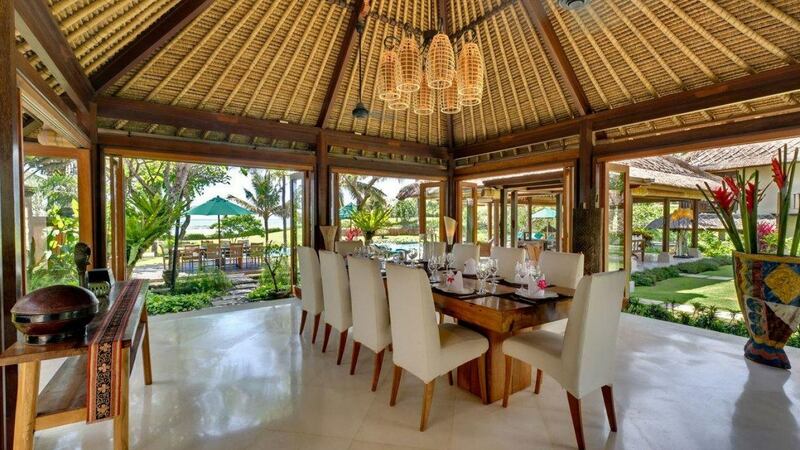 Adjacent to the living pavilion is a stylish dining room linked by a covered walkway to the kitchen. 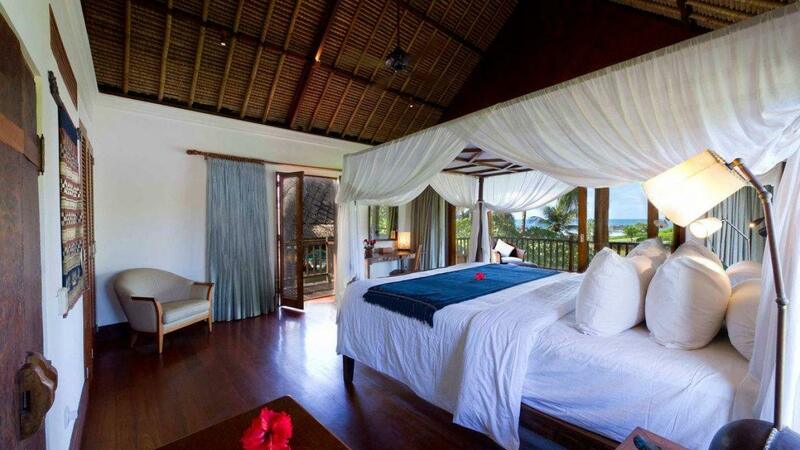 To the right of the living pavilion rests a two-story building accommodating the master bedroom suite. 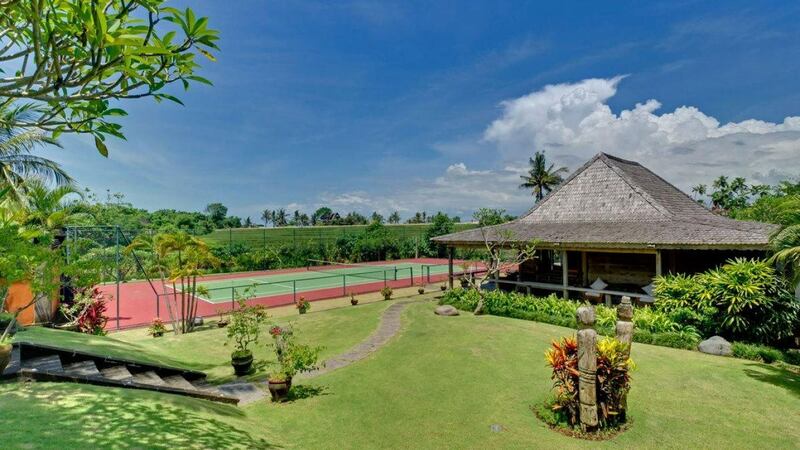 On the far side of the grounds lies the tennis court, gladak guest house and second swimming pool with views to the nearby rice terraces. 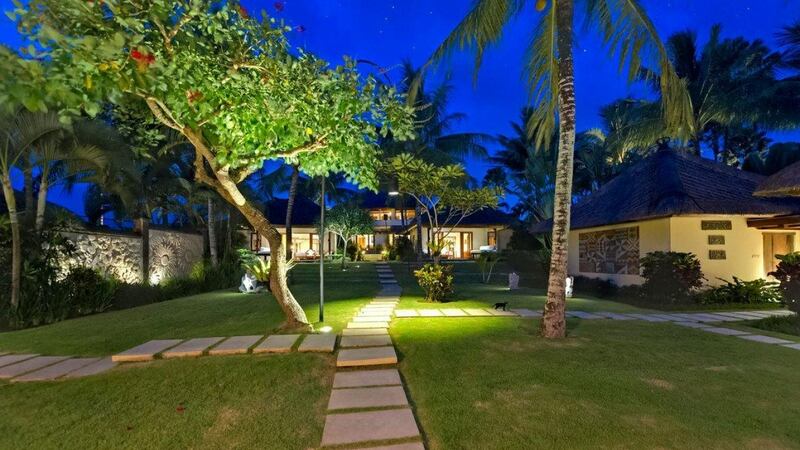 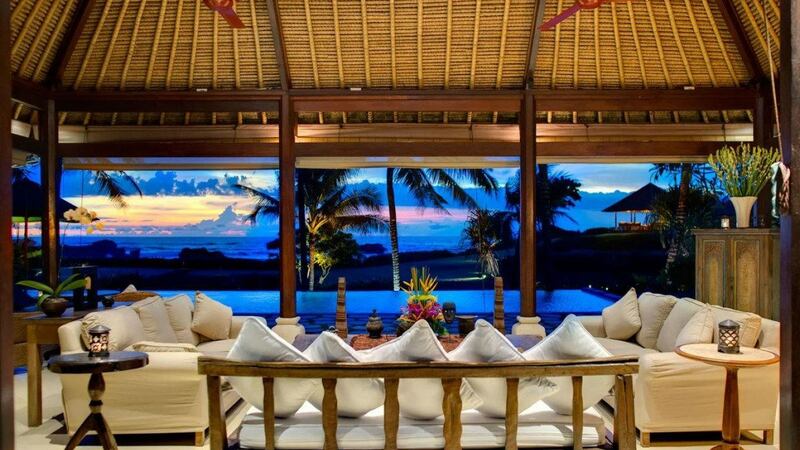 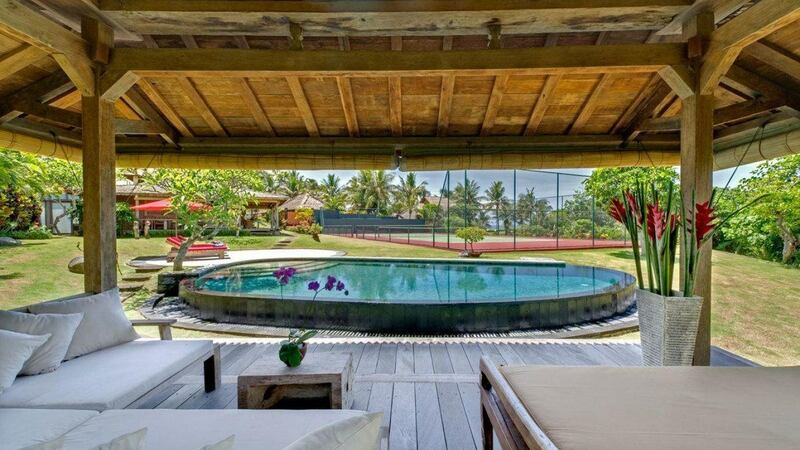 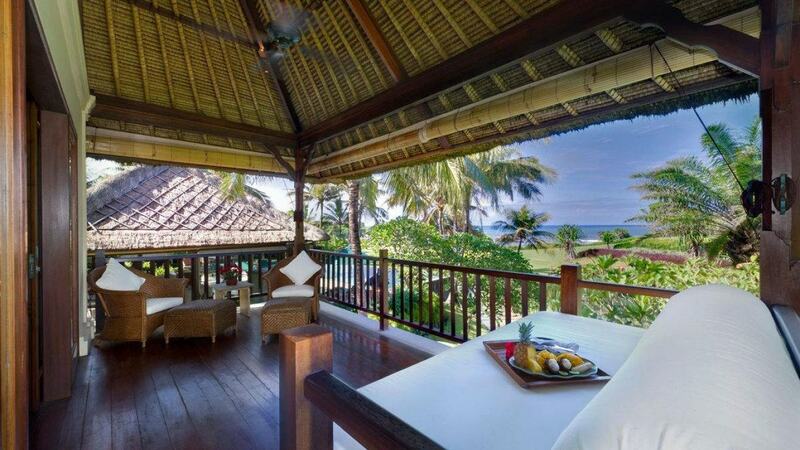 A sunset baleis strategically placed on rolling lawns, just above the beach for optimal ocean views. 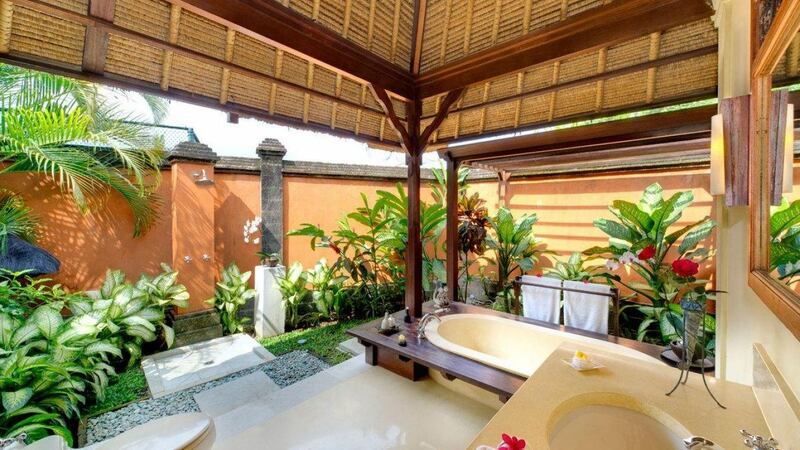 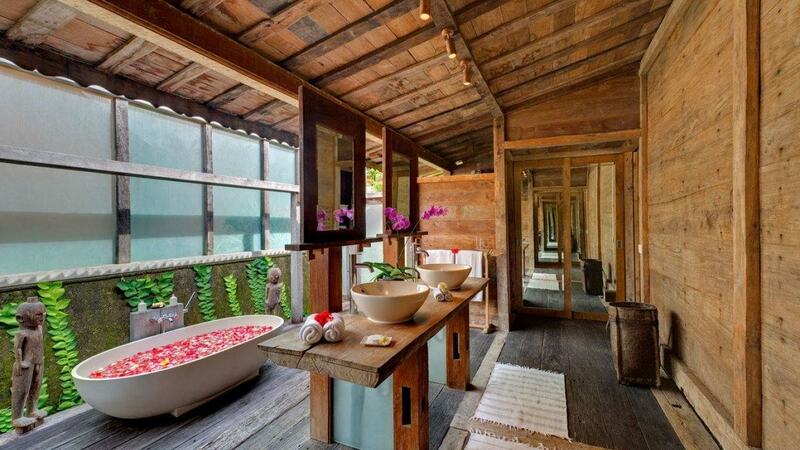 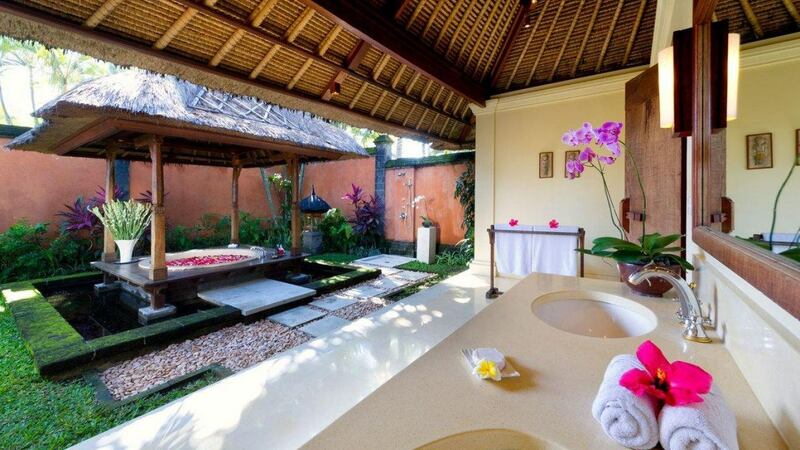 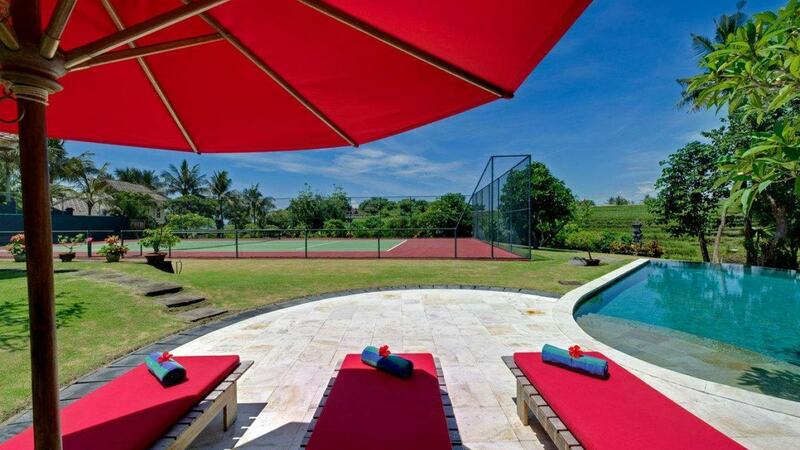 Canggu is a resort village on the south coast of the Indonesian island of Bali. 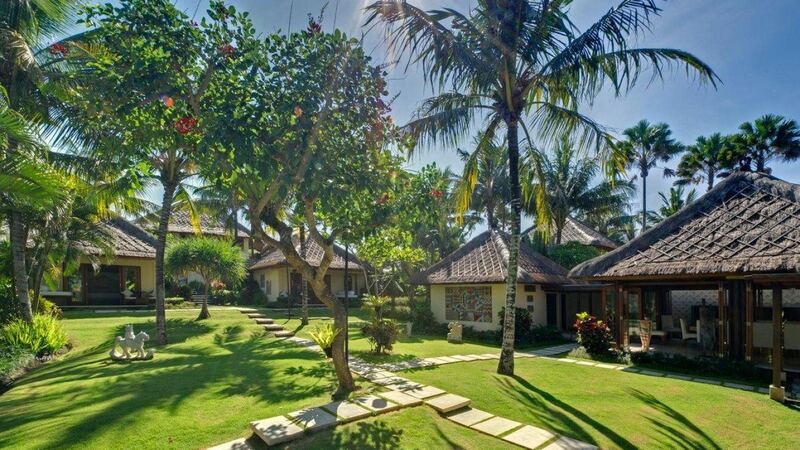 It's surrounded by terraced rice paddies and known for beaches like Canggu and Echo, with strong surf. 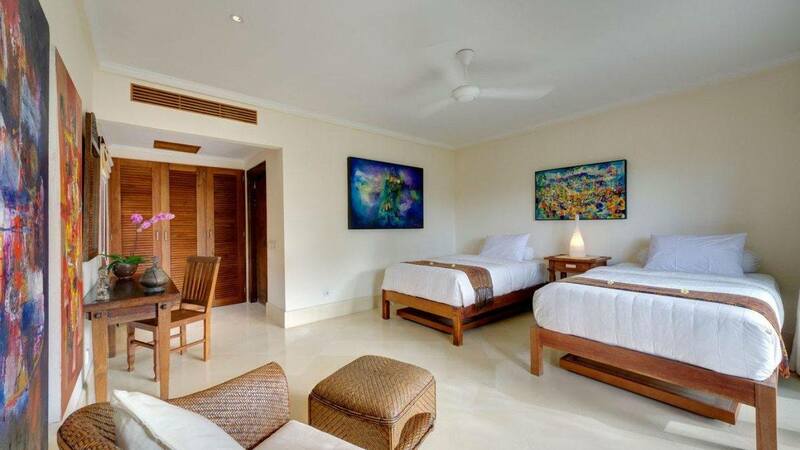 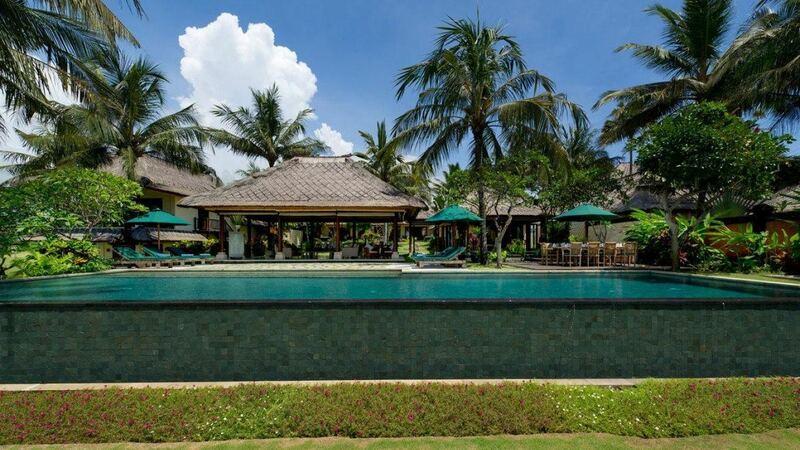 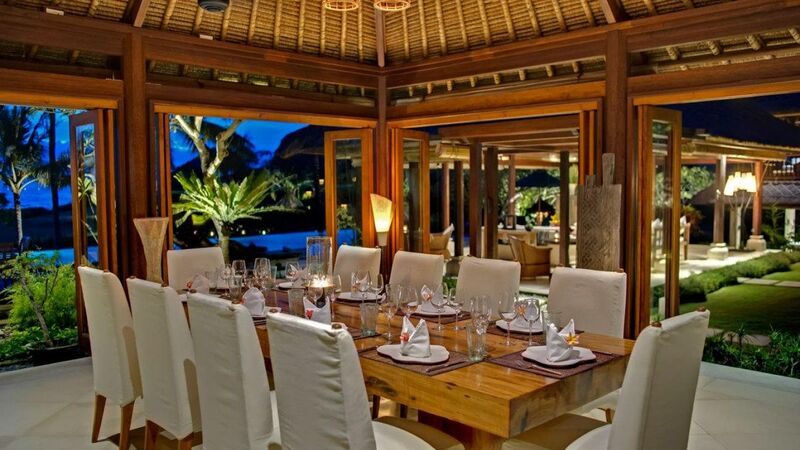 The nearby Seminyak resort area has high-end shops and restaurants. 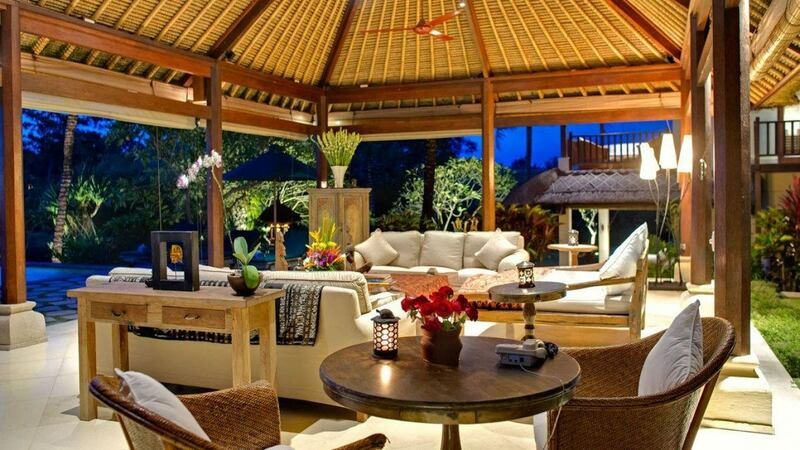 Just south of Seminyak, the beachside town of Kuta is known for its nightlife. 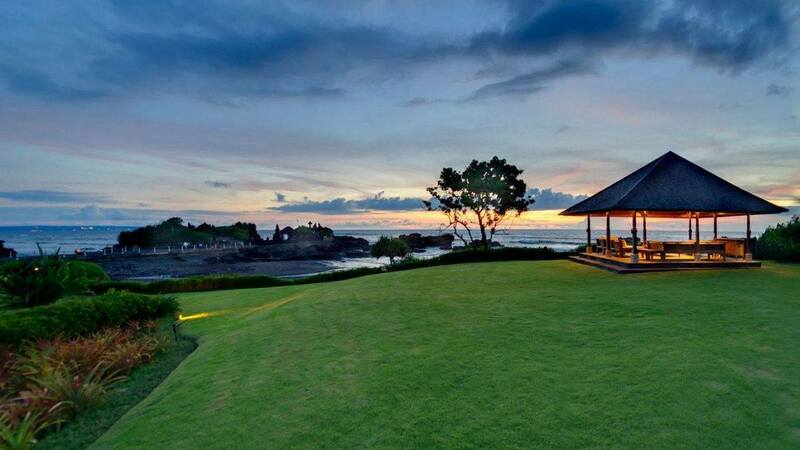 North of Canggu, Tanah Lot is a Hindu temple that sits just offshore on a rocky outcrop.